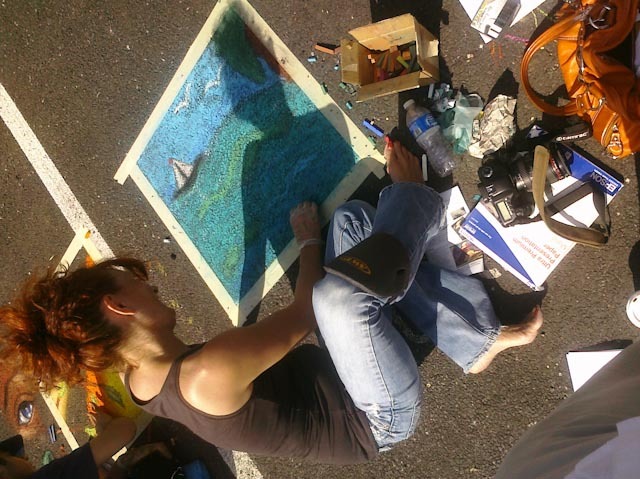 Love how this artist demonstrates impermanence, creativity, and passion all in one train ride. And you can experience it all by just going to New York City and riding the subway…Although which line will Nic 707 and his collaborators choose today? The artist dropped his art practice, and then returned over 20 years later – an interesting story of how he circled back to his original inspiration. There are many ways to find your Path. come upon us from unexpected places. Be open to your gifts. I created this image at a time when I was sad and lonely, walking the shoreline thinking I was done with this particular location – for living as well as making photographs. The sea had not held the magic for me in the way I had expected, and that had been a disappointment. I basically gave up – surrendered to the fact that it just wasn’t the right match for me and there would be other places…and then the light shifted and this sole fairytale house on the island was illuminated, the tree form embracing. My world shifted – the strange beauty seduced me – my heart opened to peace, grace, love. I know Spirit – Love – Beauty of Life – is always there, waiting for me. If you need some nurturing today, perhaps you’ll find grace in my reading of my photo-poem, “Surrender.” The poem and photograph, with the audio link at the end, can be found here. 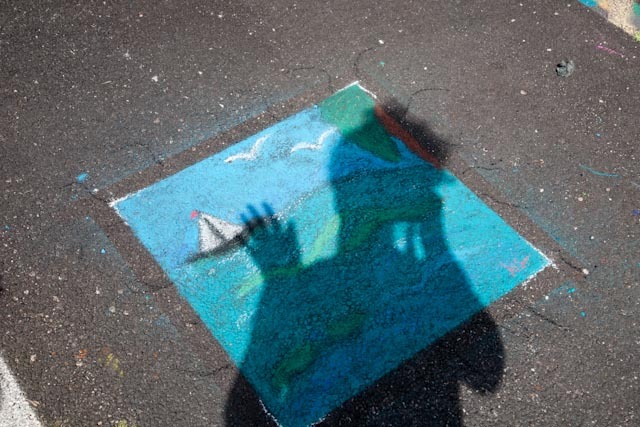 Other photo poems and mini-meditations here. 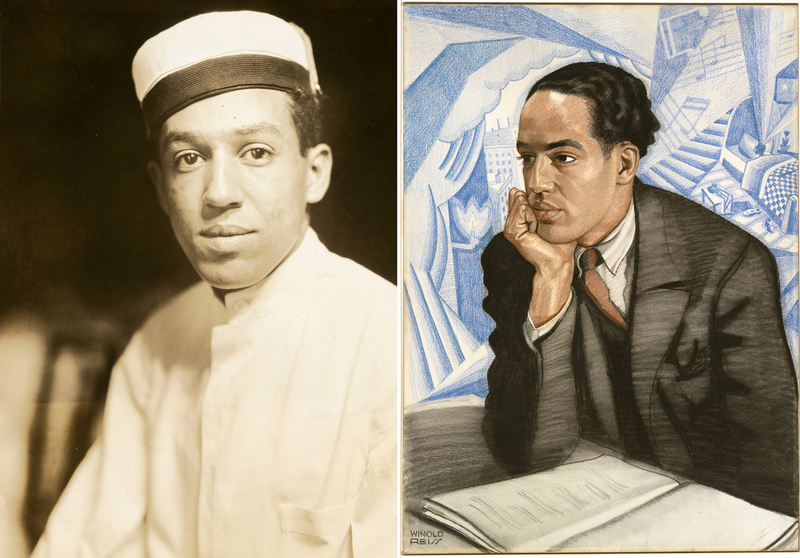 Here’s Langston Hughes as a bellhop (with much soul), and as a professional, business-like writer. These images were both made in the same year. 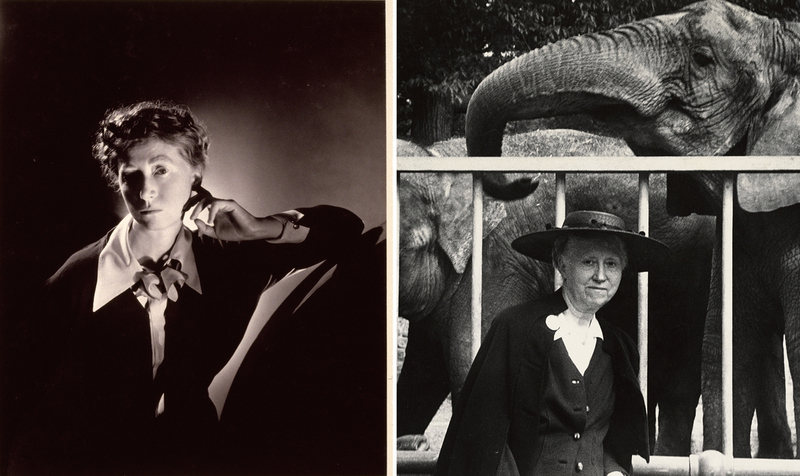 Marianne Moore is young, romantically lighted. Almost 20 years later we have a different experience of her life in her clear, I-see-you gaze, posed in front of elephants. How do you “see” (experience/feel/understand) the person? What do you consciously include in the image? Are you evoking your preferred expressions, or do you allow the subject’s natural expression to come through? “Who” are you being encouraged to see? What qualities are there – and what may be left out?